Bobbie Neal and Ernie Welch are TransAm Trucking’s Kansas City local drivers. 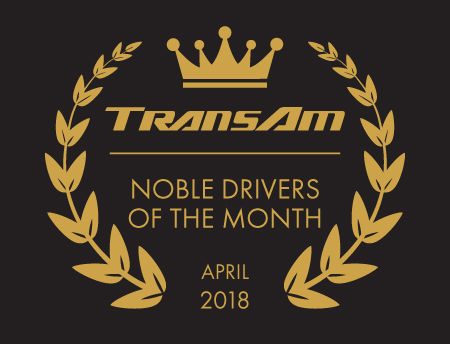 Bobbie celebrated his 25th anniversary with TransAm this past October and Ernie isn’t far behind, with 24 years under his TransAm tires. “These two are experts in their craft,” says Jordan Gormley, a TransAm Trucking KC Planner, “and it shows in their daily work.” Ernie recently volunteered to take on a mentee who needed a few extra days of training. And this is common for both Bobbie and Ernie. When they’re on the Yard, Bobbie and Ernie are often found answering questions or lending a hand to other drivers. They are very knowledgeable about the trucking industry and we value their feedback. Thank you, Bobbie and Ernie, for everything you do. You are always a pleasure to work with. Doug is a very vocal advocate for TransAm Trucking. He helps answer questions drivers leave us on the TransAm Trucking Facebook page. Doug also setup and runs a Facebook Group of his own, with the purpose of creating a community for TransAm Company Drivers and Independent Contractors to ask questions and get advice from each other while over-the-road. He wants everyone to succeed and does everything in his power to make that happen. Thank you, Doug. It is an honor that you choose to contract your business to TransAm Trucking! Ivory Maxwell continues to awe us with his Noble personality. “Ivory is always willing to help out the new drivers whenever he is around them, whether it is with their logs or backing into docks and directions,” says Conrad Voorhees, a TransAm Trucking Fleet Manager. He is someone that can be counted on and we appreciate his team spirit. Thank you, Ivory. “Jimmy does an awesome job,” says Thomas Young, TransAm Trucking’s Director of Training & Development. Jimmy is a good mentor because of his positive attitude. It makes him very approachable and helps his mentees feel comfortable as they embark on their new trucking careers. Jimmy also possesses a dedication to kindness. “He helps anyone and everyone, any time he can,” says Thomas. “He is a very noble person.” Thank you, Jimmy, for being a part of our Mentor Program.